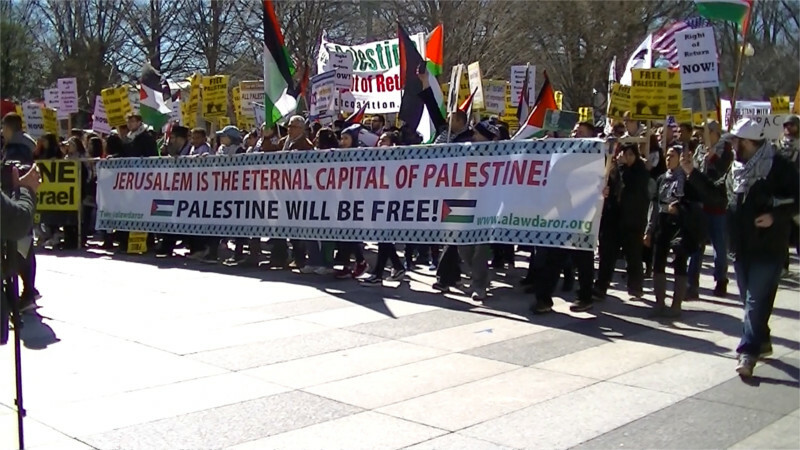 On the 4th of March, Palestinians and supporters from many organizations marched on AIPAC's convention from the White House. AIPAC does NOT call themselves "American Israeli Political Action Committee" so as to avoid the Foreign Agents Registration Act. 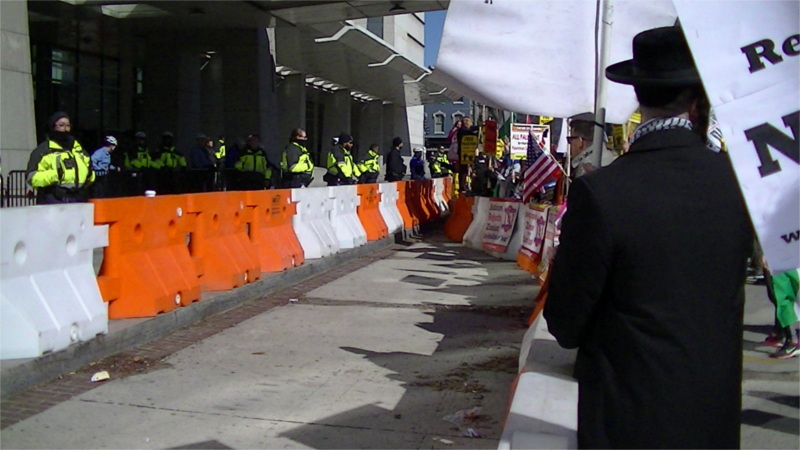 This year, police had a total of three layers of barricade set up outside the Convention Center. Presumably they feared a repeat of the 2017 lockdown that blocked the Convention Center's doors. While there was no attempt at civil disobedience this time around, all three barricades were only waist-high and could have been hurdled by a determined crew. 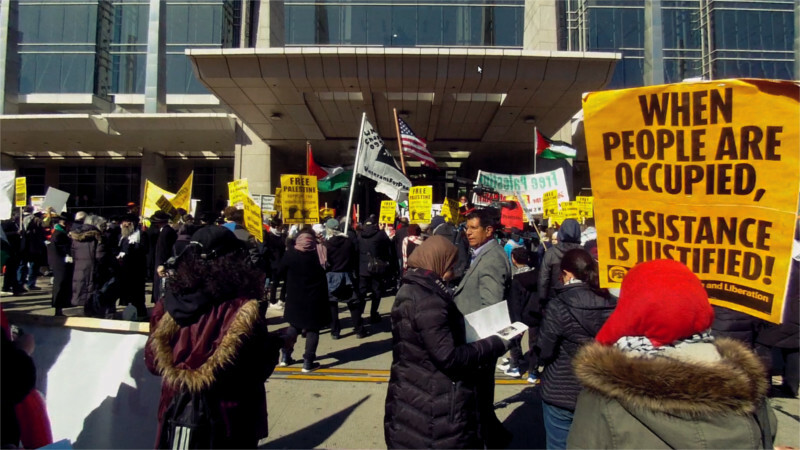 AIPAC does NOT call themselves "American Israeli Political Action Committee" so as to avoid trouble with the Foreign Agents Registration Act. Since they still bribe and lobby members of Congress they are still in violation of this law, just not quite so openly as if they called themselves a PAC. 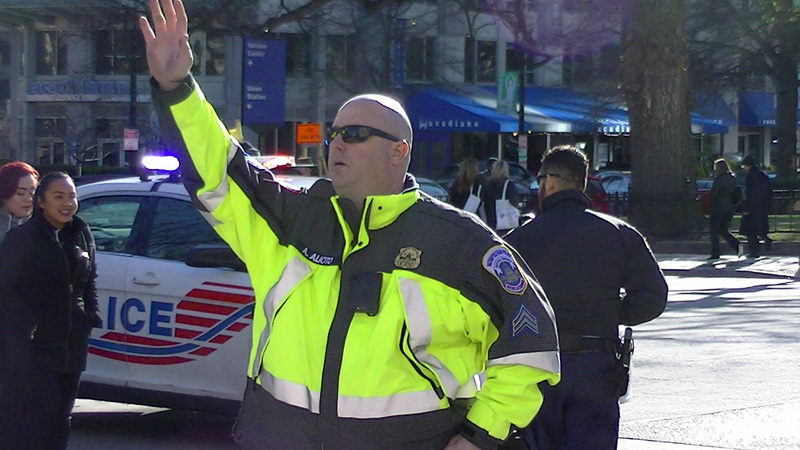 When cops cleared the street at the end of the protest's permit time, this one was the most aggressive.